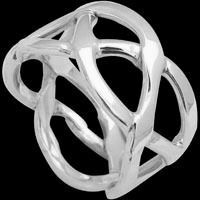 Silver is a precious metal and much like gold it is too fine to be made in a 100% form. 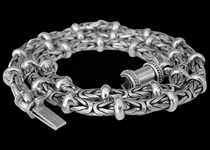 To make it durable for jewerly, pure silver (999 fineness) is often alloyed with small quantities of copper (7.5%), thus comes sterling silver (92.5% or .925). 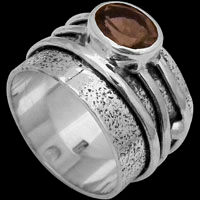 Copper is added to strengthen the silver and make it durable to be use as a decorative or in fashionable jewerly. 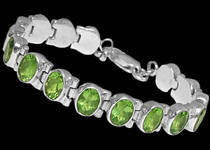 Has your silver jewelry ever left greenish or black marks on your skin? It's happened to most of us at least once or twice, and even though some people are allergic to certain materials, most staining isn't caused by an allergy--it's a reaction between our skin and the metals used in jewelry, especially when the jewelry touches areas that perspire. 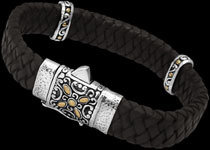 Sterling silver is 7.5 percent copper, but the most common stains from sterling silver jewelry are black, and occur when the metal tarnishes (darkens due to a reaction with gases in the air). 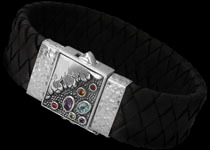 We take pride in our work and set high standards in the craftsmanship of our hand crafted jewelry. As with every product its life span will depend on the care you give it. These are some helpful hints on how to look after your Anixi pieces. 1. To maintain the original condition of your silver jewelry, polish your pieces regularly using a non-abrasive cleaning cloth. 2. 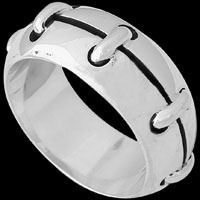 Soap and water will also help keep your silver looking good. Remember do not dry silver off with paper towels or tissues, always use a soft cloth. 3.When you are not wearing your silver jewerly, store them in a cool, dry place. Zip-lock bag and individual cloth pouches are ideal for this and will help prevent both tarnishing or scratching by other pieces. 4. 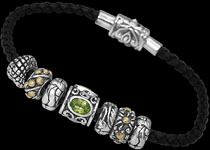 Never immerse your silver jewelry in chlorine, salt water, mineral springs, and suntan lotion. Remember, some household cleaners contain chlorine bleach, these will cause discoloration and also loosen the gemstones. 5. Avoid abrasive cleaners, detergents and commercial jewelry cleaners "dips" especially if the pieces have an oxidized finish. 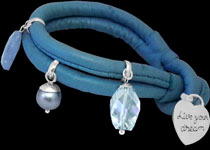 Using harsh polishing cleaners will alter the antique look of your jewerly. 6. Never use an ultrasonic cleaner, ammonia or any chemical solution to clean opaque gemstones, such as turquoise, malachite, onyx, lapis lazuli and opals. They are a porous stone and may absorb chemicals, which build up inside the stone and cause discoloration. Simply wipe them gently with a moist cloth until clean. 7. 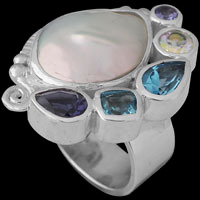 If your jewelry contains gemstones or pearls, do not immerse in water, as this can loosen some settings. Never use dips or abrasives cleaners on gemstones. 8. 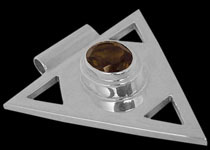 Do not spray any perfume or cologne on your silver pieces , this will tarnish and stain the sterling silver.